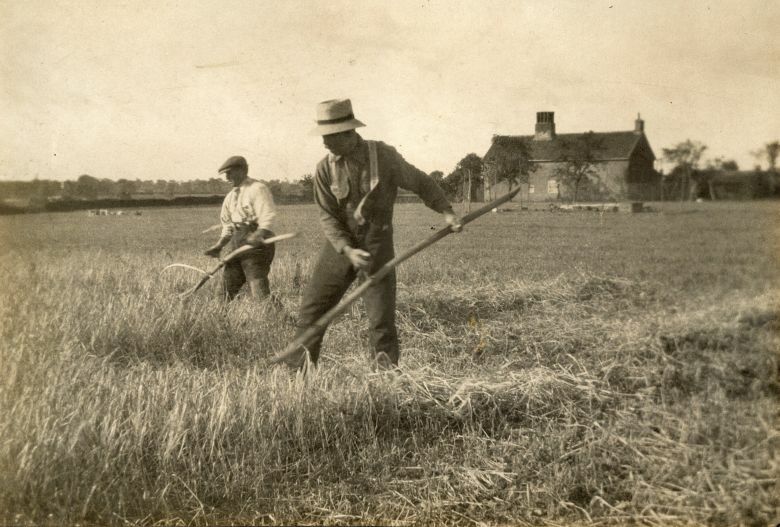 Robert Roberts and Tom Mayhew mowing barley on the field by Blackheath Farm looking toward Bramfield. 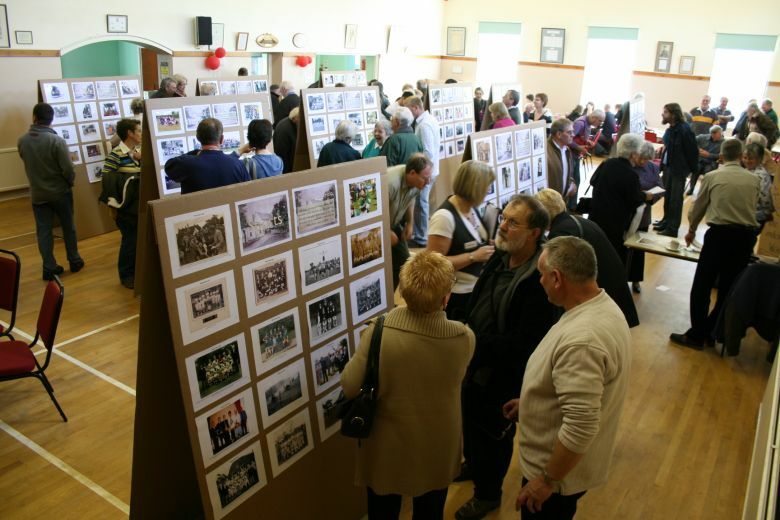 The Wenhaston Archive Project is trying to bring together all the photographs and other documents that village people have about our village and to scan these into an online archive which can also record information about those images and documents. The project is managed by a small committee who are giving their time and skills for free. There is no public funding or support from any bodies outside the village. In the first year we have produced a DVD slideshow and put on a two day exhibition.